If your trying to hear music for free you will get ads everywhere you go if you dont want ads or more variety bottom line is you have to pay. The artist that make the music have to get paid they have bills too. If you had a song on the radio wouldnt you want to get paid for it? Cubase, I feel you, as your point is the entire premise of my post. I haven’t found a service I’m willing to pay for, although Apple Music is very intriguing. Loads of variety. Great curated playlists. Super easy to use. And the free 3 month trial didn’t hurt. I may have found my thing after all. You should know that some Live365 stations are “live” — that is, they stream from a remote studio so Live365 *can’t* insert ads. Since they’re not limited by the storage space provided by Live365 they are basically unlimited in the variety of tracks. My own station has about 60,000 tracks – you could listen for weeks and not hear a repeat! Coool. Well, with my channel you’ll get variety all right! It’s kind of a mish mash of genres, all of it taken straight from a vinyl record in my collection of about 10,000 albums (which gets bigger every week). Wish I could do something about those godawful ads . . . but alas, it’s out of my hands. I do use Spotify quite a lot for finding new music (some of which finds it’s way on to my show, provided I like it enough to buy the vinyl LP). I actually have my own Live365 channel (J. Frank Parnell’s Musical Stew: All Vinyl Radio Show), but I totally agree with you on the online commercials and repetition . . . and repetition of the online commercials. It gets maddening even for me. If I hear FLO from Geico one more effing time I’m gonna . . . . !! Of course, with Live365 (and possibly the others?) if you “upgrade” it gets rid of the commercials (or so I hear). Speaking only for Live365, I think a lot of the repetition comes from folks who don’t add new music to their channels all that often. (Live365 is made up of regular folks like you and me who program our own channels.) Personally, I add new music every day (usually 6-12 songs), but my playlist is 33-35 hours long so whatever new music I add today may remain in rotation for up to three months. I set things to shuffle, but as we all know, there is no perfect shuffle. Repetition is bound to occur. Thanks for the input Scott. Until you responded, I didn’t know how Live365 worked (or any streaming service for that matter). But it makes sense if these are all non-updated streams, you’re going to experience repetition. The commercials are the worst! But I haven’t found a streaming service with sufficient enough variety that I’d be willing to pay for it. I’m going to check yours out though, as you seem to understand that variety is the spice of life! Oooh! Another topic I thoroughly enjoy! One thing I’d like to point out is that this particular post is biased in that you’re only gleaning a look at radio streaming. And right you are! 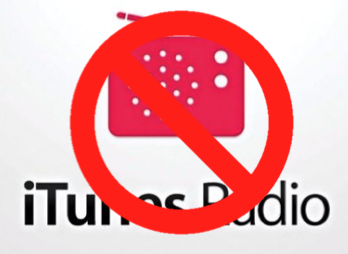 Most of the time, I can’t stand the radio streaming bits of all the listed services. Keep in mind though, that streaming has on-demand options as well. Sometimes at a premium cost though. I am a big fan of Spotify in this regard because on my Mac, I don’t have to pay for the on-demand feature. If however, I’d like to take on-demand mobile – that’s where the “gotcha!” lies. I also realize that with the on-demand feature along with the on-demand to playlist feature (with offline cache) that the commercials are much fewer than the radio streaming counterpart. For example, I’ve only heard 2 commercials (advertising Spotify themselves) in the last half hour. With all that said, Spotify for the above reasons will be my choice of service. Off topic: Not that I condone piracy but I wonder what the Spotify licensing says about rebroadcasting (streaming) [Airplay] from the Mac to the iOS or dock while at home. I am working on a new project called AirFree which will allow you to use all the fancy airplay, mirroring, and music streaming features to a small $25 computer called the Raspberry Pi. You should check out the Pi since your a techie like me!